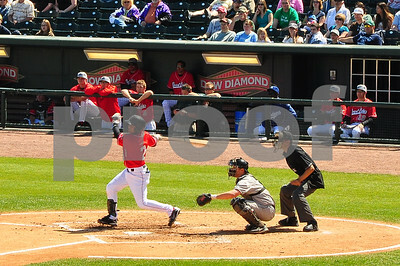 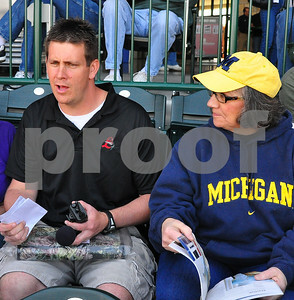 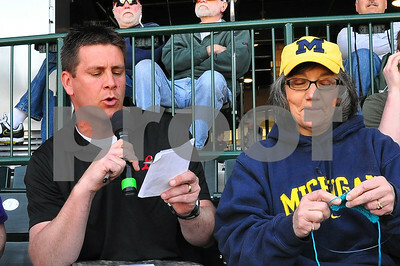 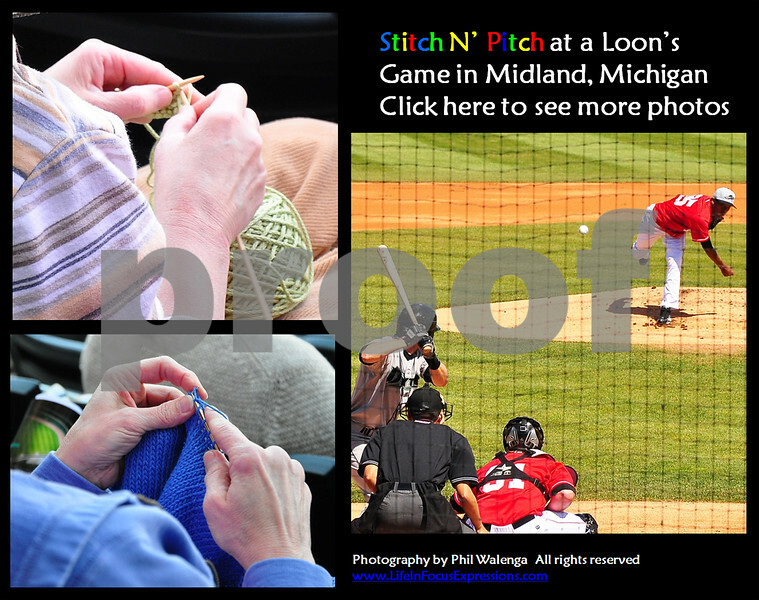 Stitch N Pitch at Loons game in Midland, Michigan. 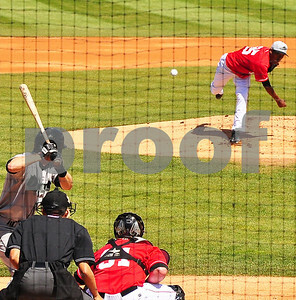 May 16, 2010. 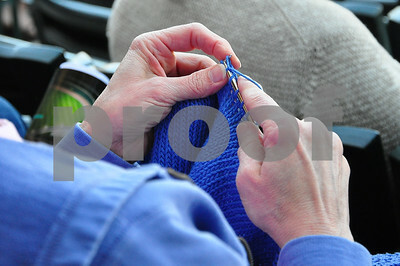 Close up of Sally stitching away as the game starts. 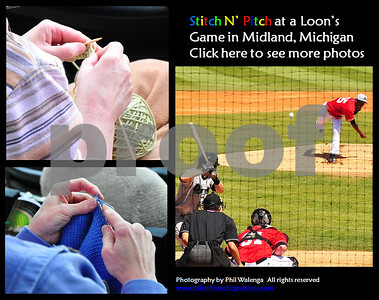 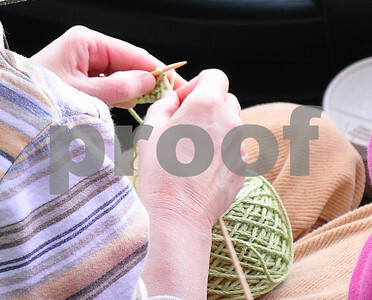 Martel throws out the first ball of yarn. 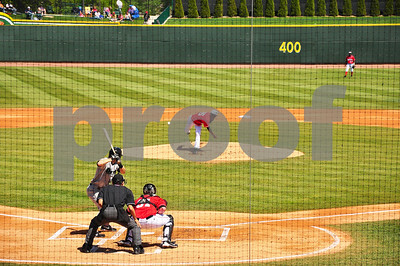 The first pitch of the game. 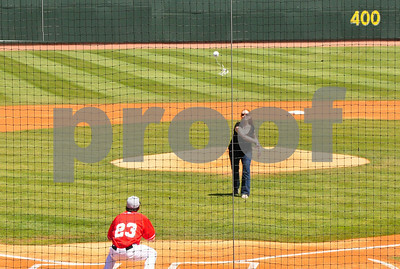 Closeup of that first pitch. 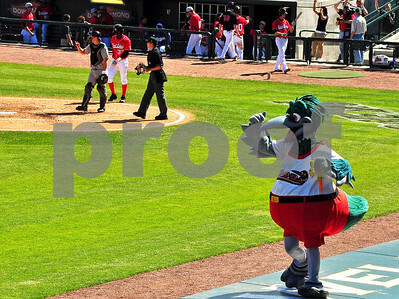 Lou E. Loon strutting his stuff. 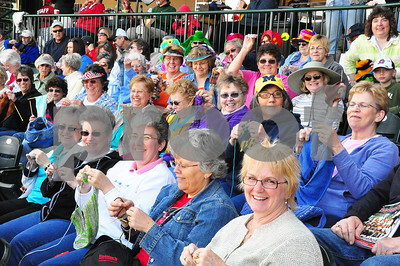 Stitch and Pitch crowd for the May 16th game. 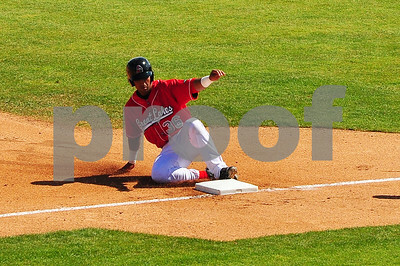 Getting a hit and .......??? 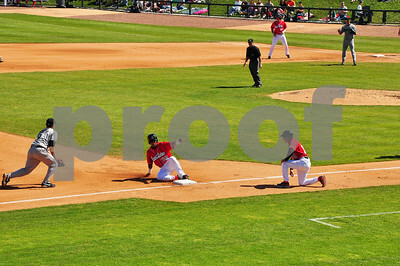 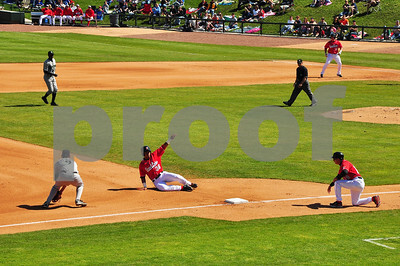 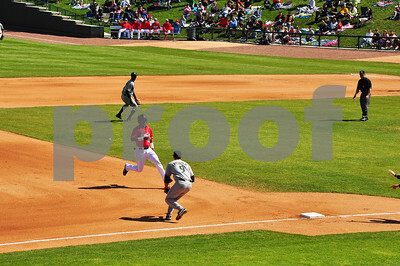 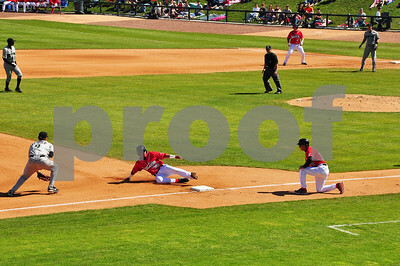 Running to third - does he make it? 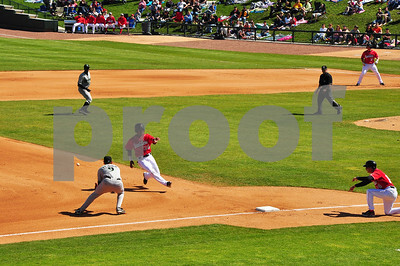 Running to third - getting close. 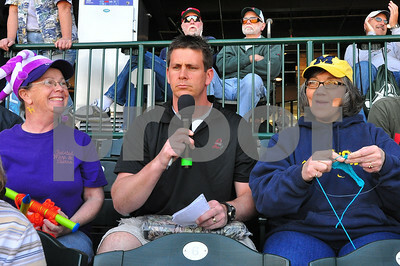 Stitch N Pitch being interviewed in between innings. 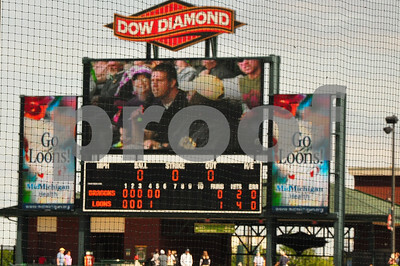 Interview on the big screen. 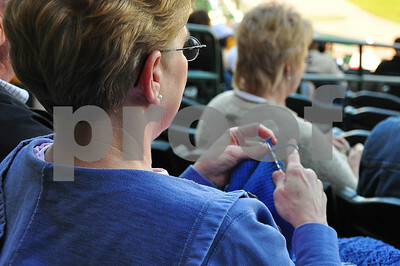 Connie getting in a few stitches. 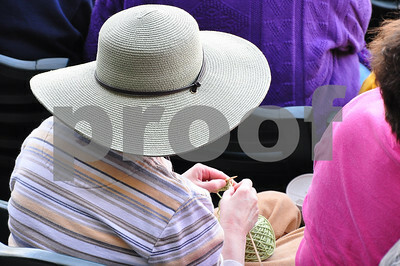 Sally working on the pattern for her grand child.